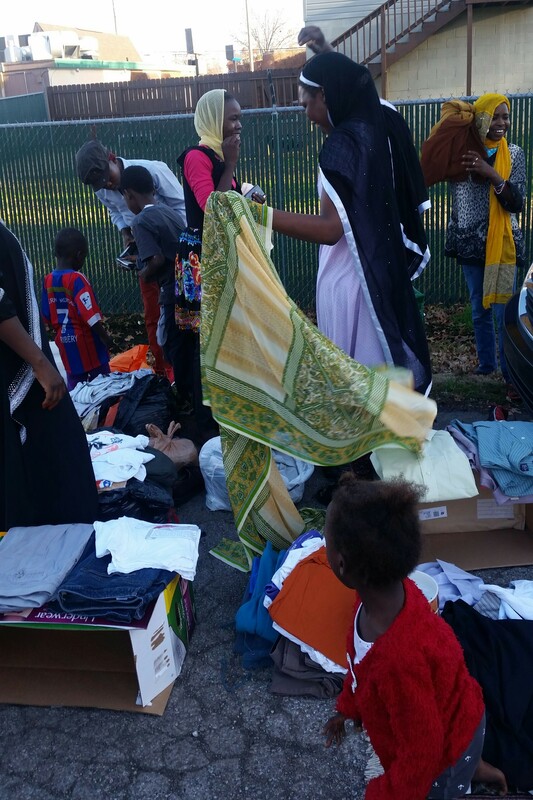 Nineteen people in four families received about 85% of our clothing, kitchen and bedclothing supply in Louisivlle today (Nov. 26, 2015). Khamiss Youssif transported and made the items available (he also took these pictures). 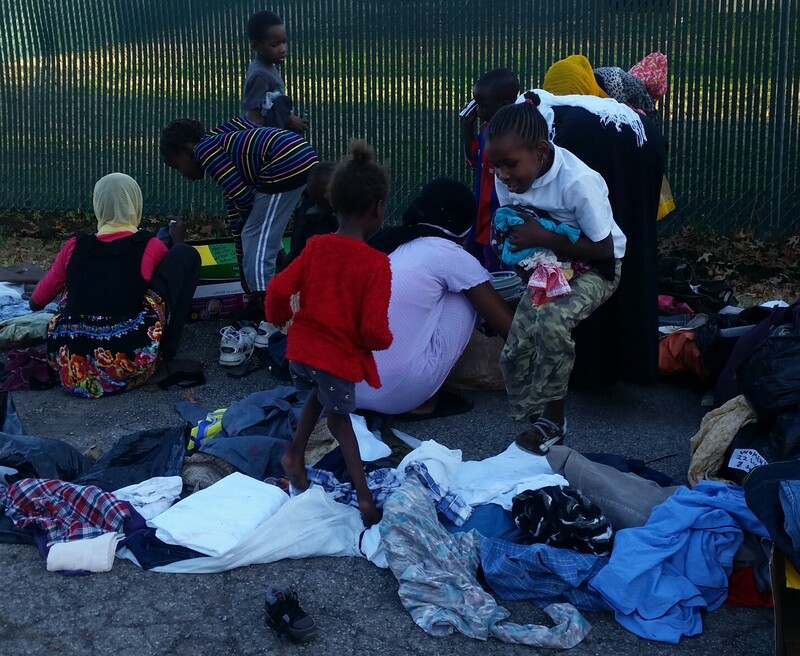 It was nice that it was unseasonably warm out on a holiday, making it easier for these families to meet with DOHS to get what they need. It should be said that about half of all the donations we have received since September have come from Darfuris who have lived in the US for a few years or more. 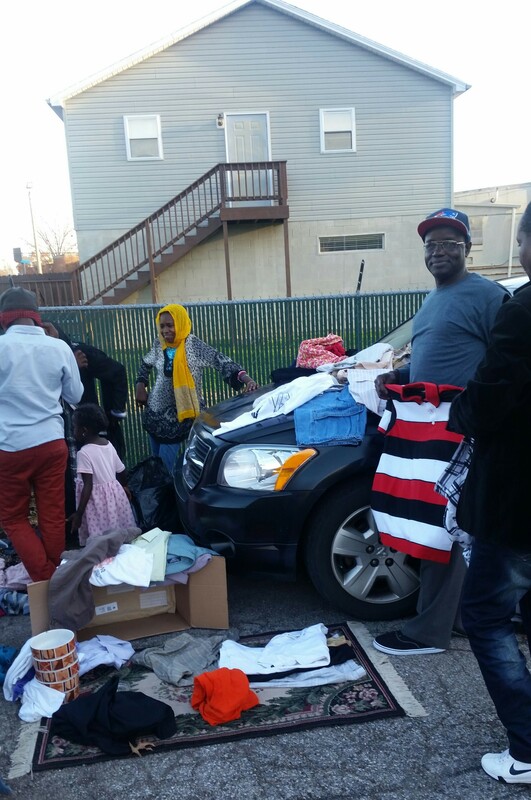 The rest has come from others here who want to help out new arrivals to our country. 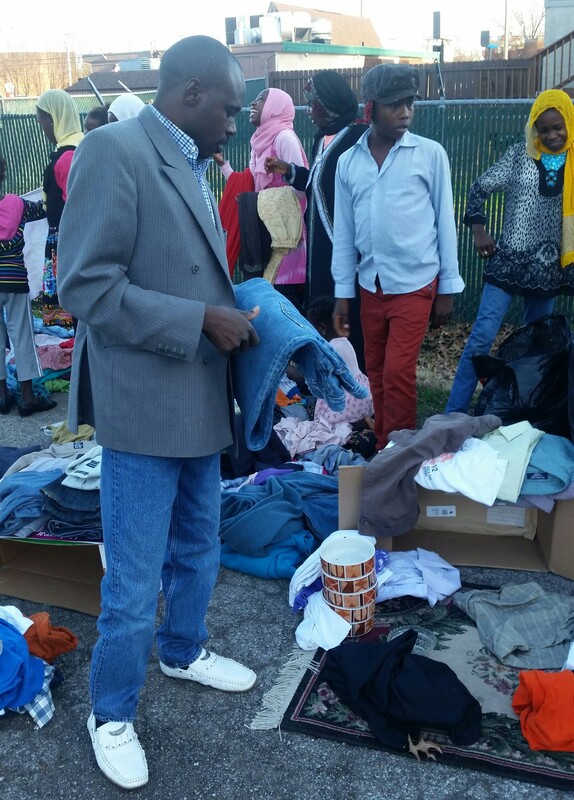 And already Mr. Youssif has been contacted by yet another donor about dropping off more clothing and blankets. Fortunately DOHS had both children- and adult-sized clothes and shoes from which to choose from. As you can see from the pictures, entire families were interested to see what was there. It’s a good start! Here’s to many more!